You might have noticed, I'm a huge fan of Tonkatsu and I'd say Tonkatsu is probably the best wayt to cook and eat pork. Here's the list of my best Tonkatsu ever. Not much needs to be said. It's just extraordinary. You've got to taste it yourself and make yourself realize how good pork can be for this amazingly affordable pricing! Awesome Tonkatsu here too. Super affordable and not too crowded either. Small, local restaurant but its taste is 100% guaranteed. Tonkatsu here is very good, but the owner chef is well known for his being short-tempered and shouts at customers, but he seems to be getting less so now as he was getting bad reviews for it, lol. Pork fat of this Tonkatsu here is pretty flavorful. Good and well balanced. The only downside is that it's a little far from central Tokyo. Besides that, this restaurant is great in quality for its price. Very famous in this area so there's always a line in front of the entrance. 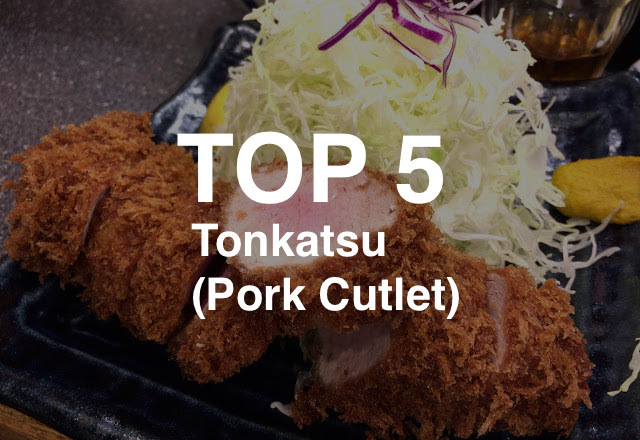 It takes the longest time to deep fry their Tonkatsu.